A new year is a time for new beginnings. 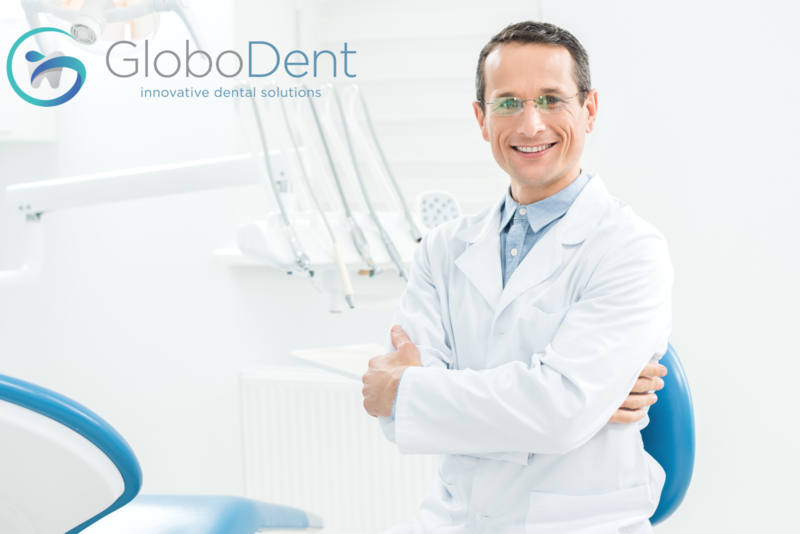 So whether you’re a consumer looking to brighten up your smile, a dentist hoping to bring new and innovative products to your office, or somewhere in between, GloboDent has the solution for you. Backed by over 20 years of professional dental experience, our commitment to the following values make us a trusted leader in aesthetic dentistry. GloboDent’s promise is to restore the quality of patients’ teeth by delivering whitening materials and dental products that are high-quality, innovative and effective. By using only the safest ingredients and materials, we can guarantee a consumer’s perfect smile. While quality is important, so is patient and dentist comfort. Our goal is to provide powerful whitening treatments along with a comfortable experience for our consumers. Our technology allows us to deliver high-quality products that provide patients with access to a safe and long-lasting oral care routine. We prioritize effectiveness in everything we do. From the beginnings of design to the finalized product, GloboDent produces top quality materials that grant a quick and unique whitening experience. Our formulas are not only designed to provide effective results, but to do so quickly, reducing the risk of teeth sensitivity and providing a more comfortable procedure. This also allows our dentists to see more patients, leading to higher satisfaction and overall profits. We strongly believe in the power of teamwork and partnerships. Together, we provide a top-quality, highly effective line of products that we can all profit from as one. GloboDent values not only consumers, but everyone involved in the vision of our brand. We strive for the satisfaction of both our consumers and the rest of the GloboDent communtiy. We strive off of satisfaction and are confident that our products speak for themselves. Because our dental clients can provide patients with shorter treatments and less sensitivity, patients leave feeling refreshed, relaxed and happy with their perfect smile. GloboDent stretches around the globe to reach and brighten everyone’s smile. While all of our business operations and product development are done in Katy, Texas and our manufacturing facility in China, we have dental partners across all continents. Our continued goal will always be to provide healthy white smiles all over the world. To learn more about GloboDent and our mission, visit globodent.com/about.